On September 15, my husband and I traveled to Ocean City, New Jersey to capture Beth & Danny's wedding. We love capturing beautiful moments and always appreciate fun wedding parties. After the beach wedding and backyard reception at the groom's grandmother's beach home, we wanted to capture a few more photos of the wedding party. When the photos were "finished," Danny decided to take his shirt off and go from an ocean swim. 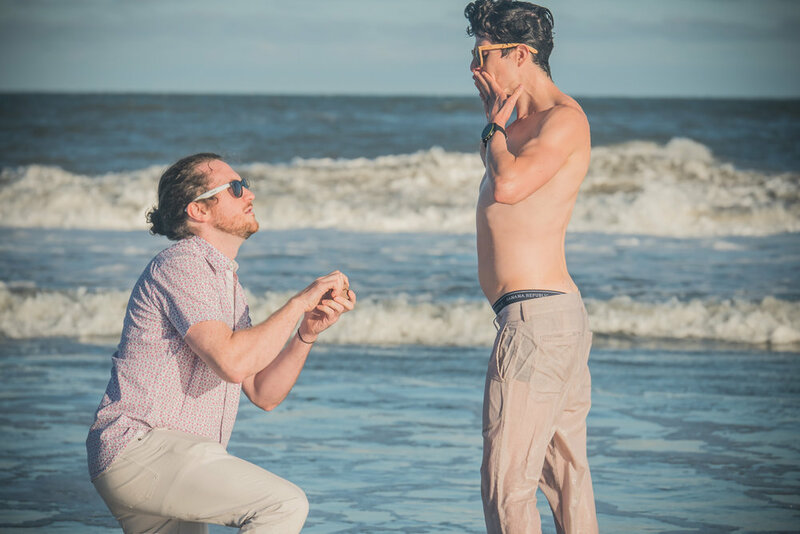 When he emerged from the warm Atlantic waters, his friend ran up and pretended to propose. Beth the Bride swooped in to stop the proposal and whisk her new husband away for the honeymoon.